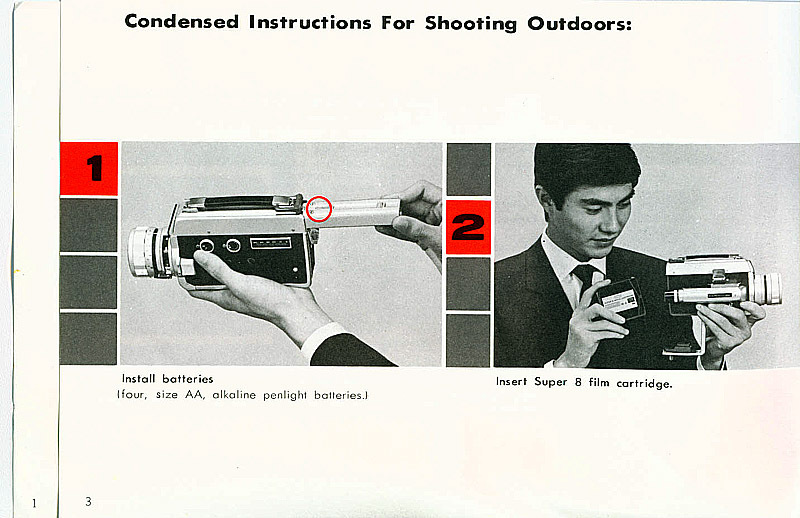 Just insert the plastic Super 8 film carttridge and push the shutter release. 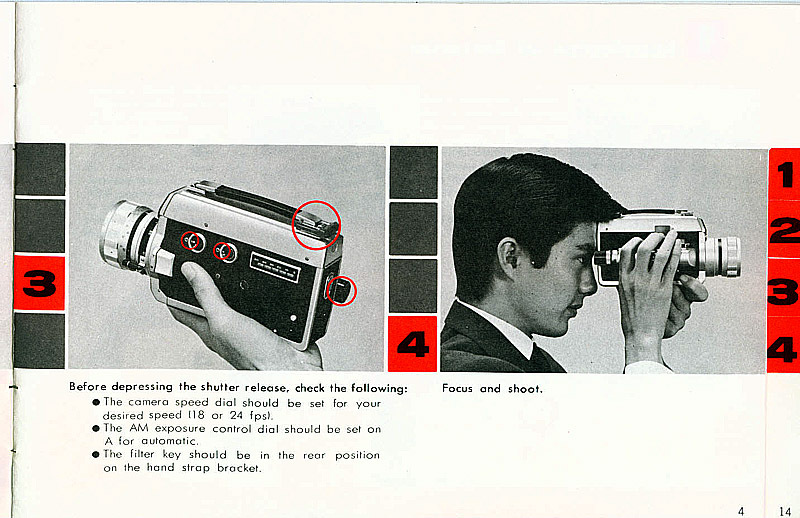 The 106 sets the ASA film speed and controls the exposure automatically. The large bright viewfinder has a Micro Split-image focusing zone in the center. 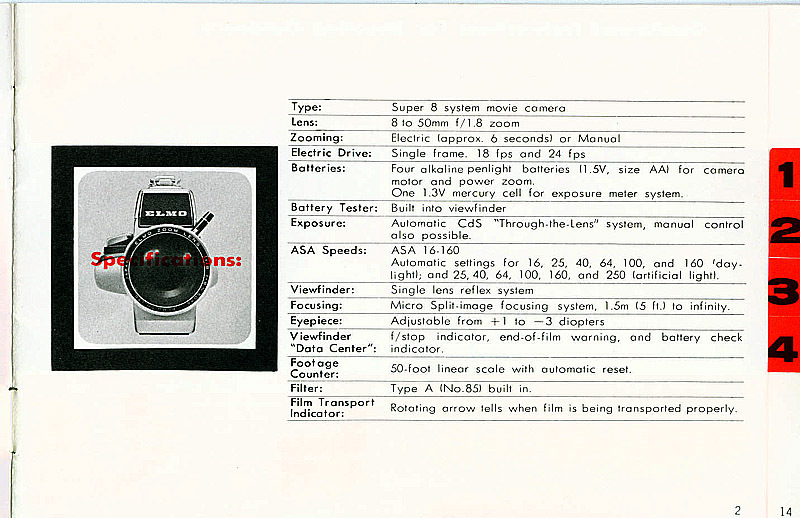 "Data Center" information includes f/stops, end-of-film indicator, and a battery check indicator. Automatic or manual exposure control, power or manual zooming, 3 speeds (single frame, 18 fps, 24 fps), plus many accessories such as: fader, remote controll, close-up lenses, filters, etc.